Breakfast. It's the most important meal of the day (aside from brunch) and it just so happens to be our favorite meal of the day too. Who doesn't love settling in with a hot cup of coffee and a steaming pile of pancakes? 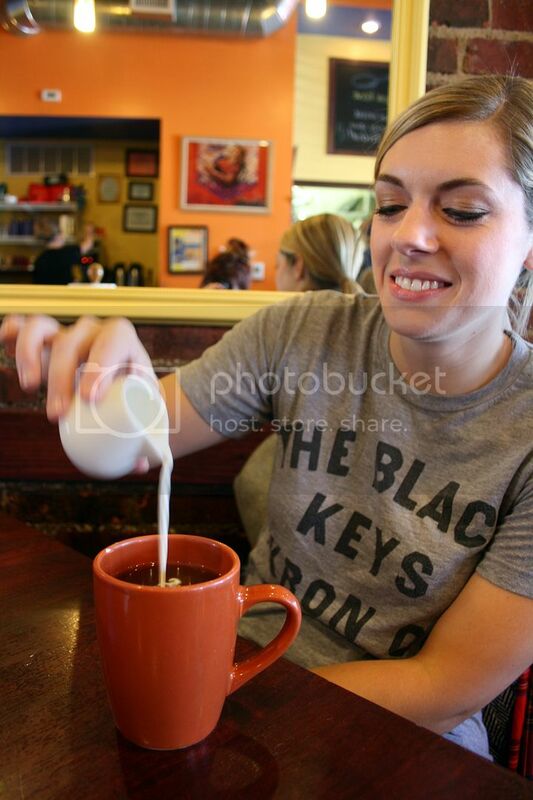 We have a favorite little breakfast spot that is very close to our homes (and our hearts). 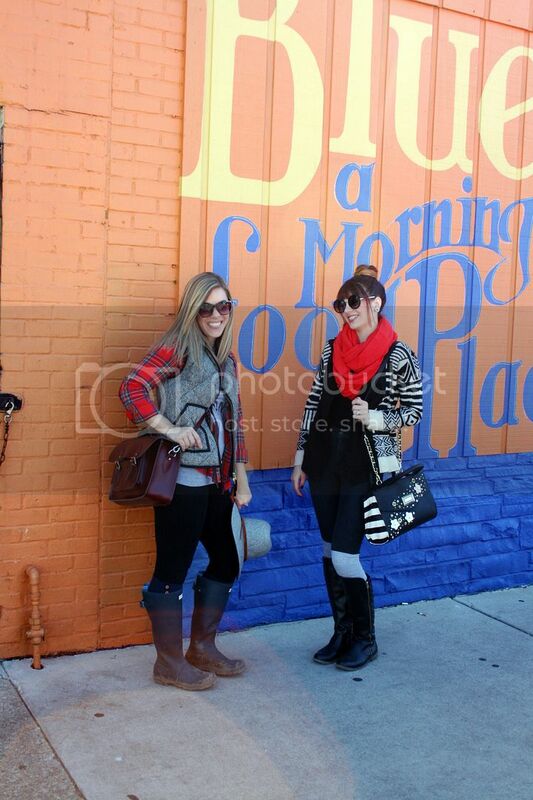 It's called the Blue Spoon, and recently we put on our best fall breakfast clothes and took a walk to get some grub. 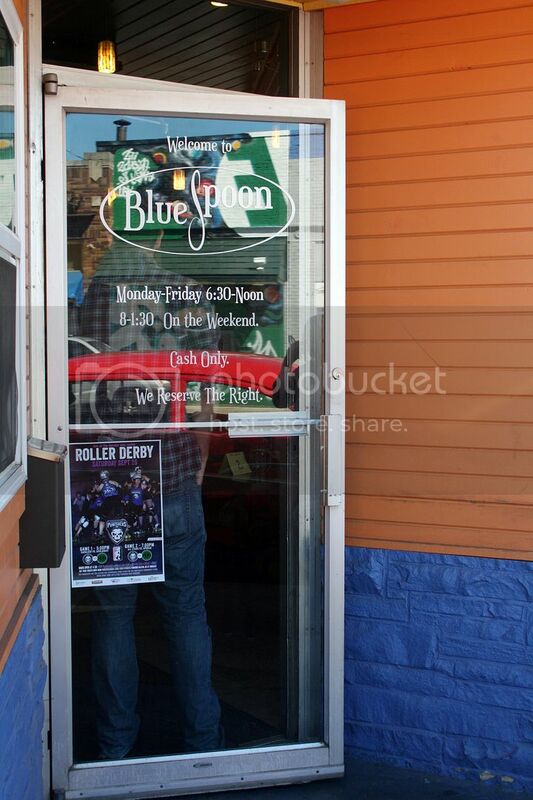 The Blue Spoon only serves breakfast and is only open in the mornings. This is all more than fine with us! It's also cash only, so if you're going make sure you're prepared. If you're not, don't worry, there is an ATM across the street. 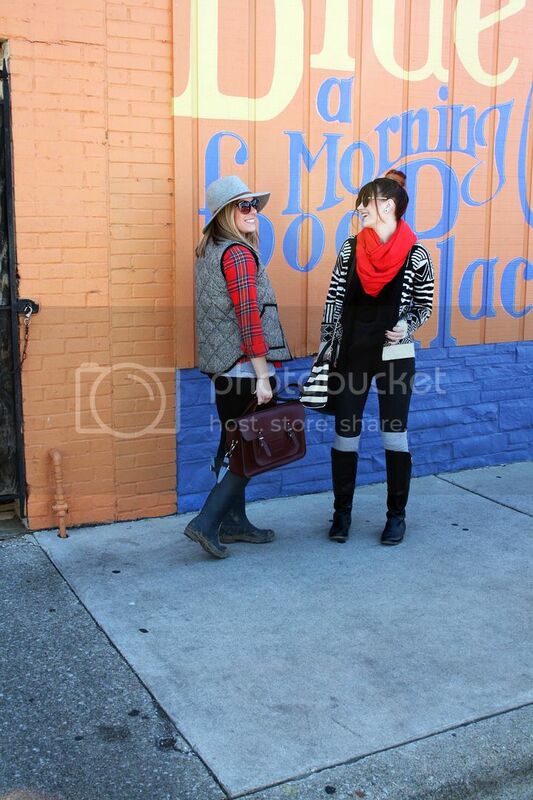 Before we get down to the (pancake) business at hand, let's talk about our outfits. This blog doesn't discriminate. Food and clothes are equally important to us. Since we were going to be eating breakfast, we both decided to dress with comfort and stretch in mind. Jodi wore a pair of leggings that are equal parts comfortable and slimming, with a t-shirt and flannel combo all pulled together with the most popular puffy vest known to mankind. 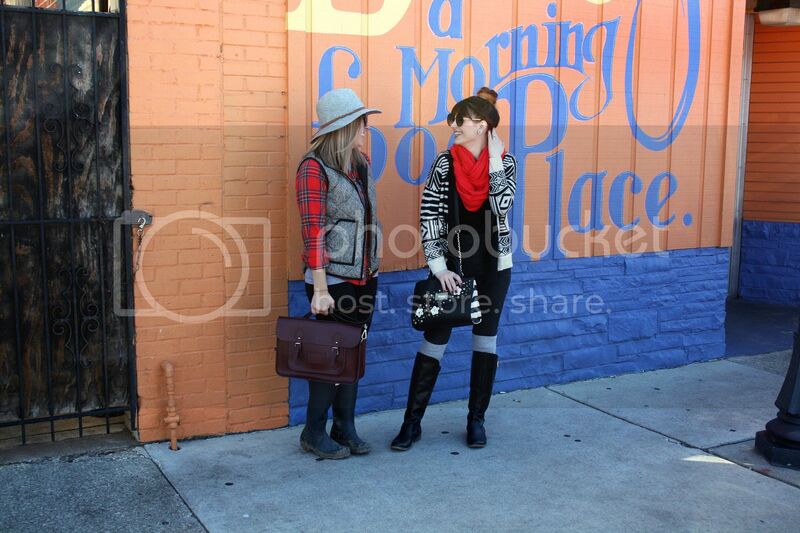 She topped it all off with a hat, rain boots, and her trusty crossbody bag. Molly was all about layering and comfort as well. A cozy tribal print cardigan and giant circle scarf helped stave off the cool outside air, but were easy to shed off once inside the cozy restaurant. Over-the-knee socks break up and otherwise black under-sweater-ensemble and a bright scarf adds a dramatic punch of color. 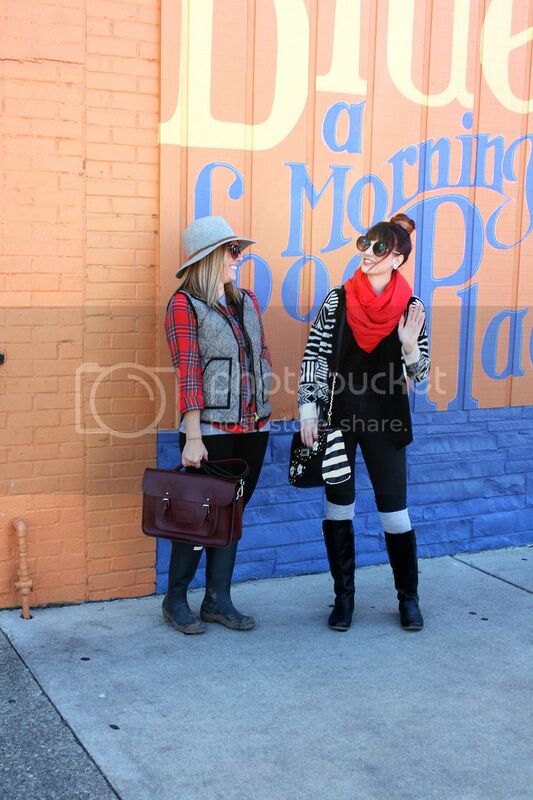 Fun circle sunnies and riding boots finished off her simple autumn look. Now, back to the task at hand. 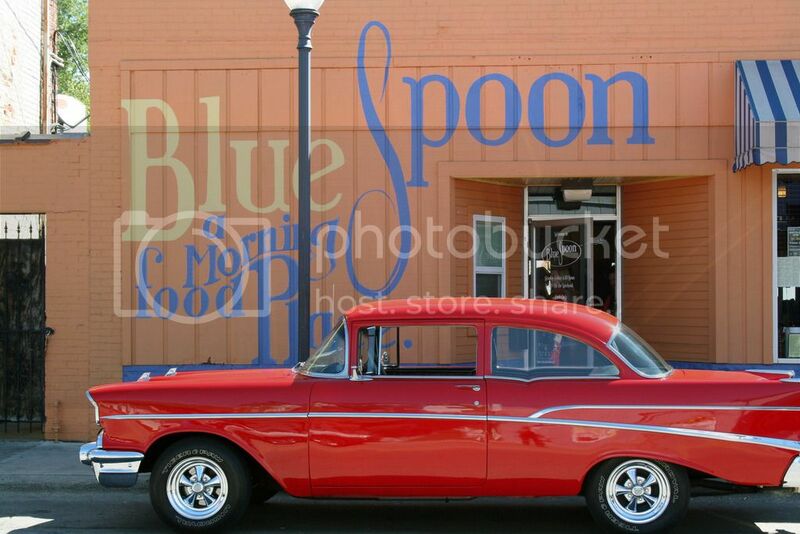 The Blue Spoon is a small, but mighty place. Most weekends there is a line to get in. It's definitely worth the wait though. When you sit down, you can peruse the menu while sipping coffee. They've got every breakfast item imaginable, plus a few that they've dreamed up in their kitchen. I don't think there is a single thing on the menu that isn't outstanding. Some of the local favorites are the Breakfast Shoe, which is toast piled high with breakfast meat, potatoes, eggs done any way you like, cheese and a special breakfast gravy. 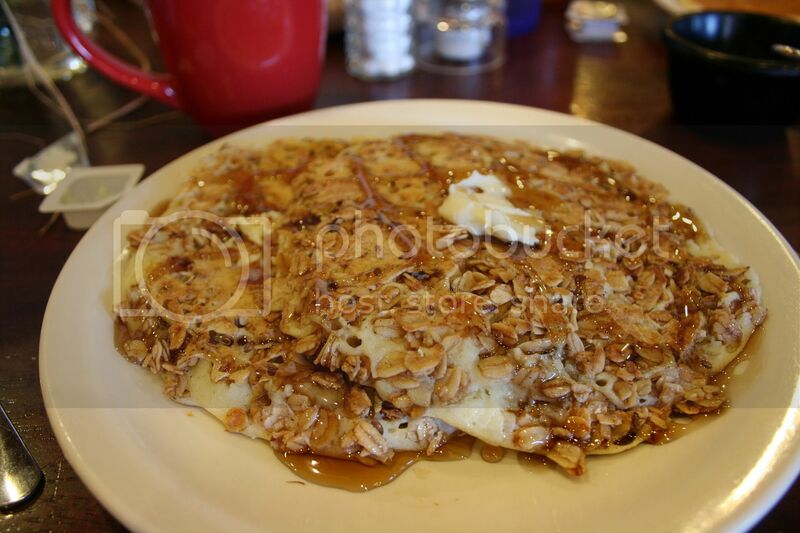 They also have breakfast burritos, omelets, pancakes, french toast, granola and much more. They even have breakfast cookies! Those are a combination of oatmeal, chocolate chips, bacon pieces and pure heaven. 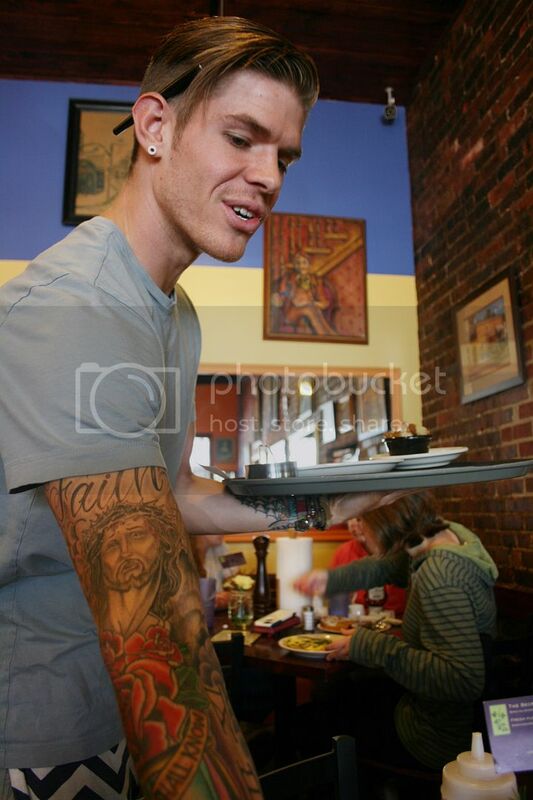 The staff is always very pleasant and quick to fill up your coffee mugs. They also know the menu inside and out and have recommendations at the ready. 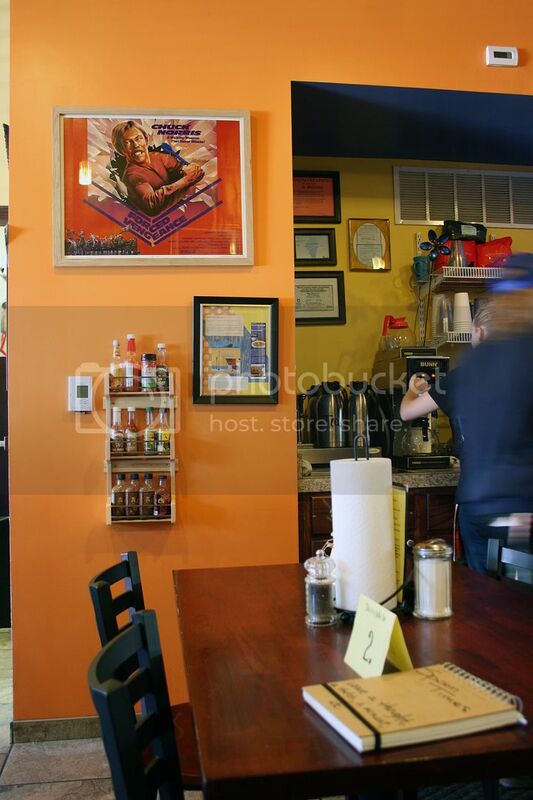 After you place your order, you can spend the time looking around at all of the artwork on the walls. You will quickly see a theme in every single one. A blue spoon has been added to tie them all in together! That's Chuck Norris up above holding a blue spoon. 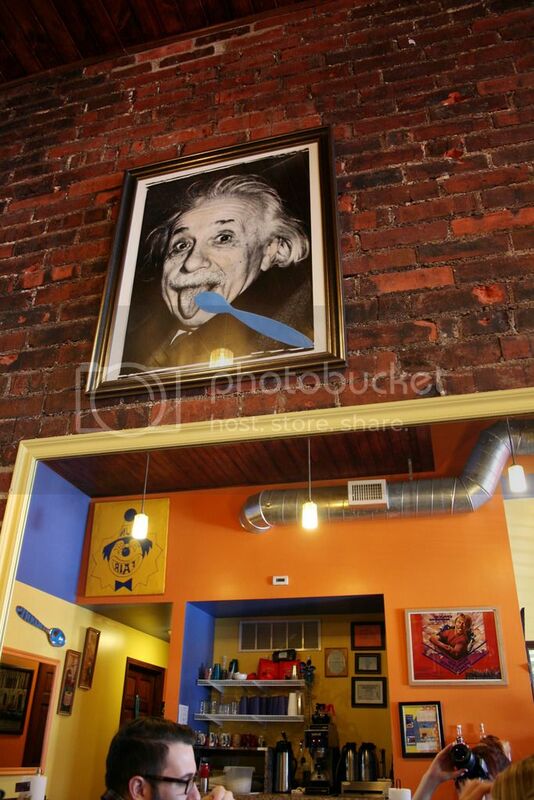 See if you can spot the hidden spoons in all of the artwork while you await your breakfast. On this trip we ordered buttermilk pancakes, Crunchy cakes (granola pancakes) and a breakfast shoe. We ate the others so fast that there was only time to get a picture of the Crunchy cakes. Oops! Guess you'll just have to go in and see for yourself next time you find yourself with no breakfast plans. You'll be glad you did! Find out more information about the Blue Spoon here.